Please complete this form and submit your nonrefundable, nontransferable payment to register for the 2019 Summer Preschool Program. 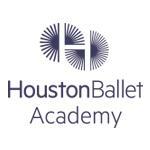 If you experience any issues during payment, please email us at hbacademy@houstonballet.org. All preschool levels are placed by age. Please select the level that corresponds with your child's age at the time of the date listed. **PLEASE NOTE** ALL JOY OF MOTION classes ( Wednesdays & Saturdays), and ALL SATURDAY PRESCHOOL CLASSES are FULL and CLOSED for the 2019 Summer Preschool Program. THERE ARE STILL OPEN SPOTS IN THE WEEKDAY SUMMER PRESCHOOL CLASSES - THEY ARE LISTED BELOW TO CHOOSE. For current students in Joy of Motion - Elementary Ballet, you must select the current level your child was in for the 2018 - 2019 academic year. For example, if your child is currently in Elementary Ballet, you must choose Elementary Ballet for the Summer Program. All current Parent & Me students who turn 3 before June 3rd, 2019 can choose Parent & Me - Now I am 3. PLEASE NOTE THAT all Summer Preschool Program levels are placed by age as of 08/20/2018 unless otherwise noted.